Celebrate Fall with a Painting Party! Who doesn’t love fall? We all look forward to a new season that brings sweater weather, changing leaves and everything pumpkin spice. Painting with a Twist wants to help you find the perfect way to celebrate this cozy time of year with your friends and family. 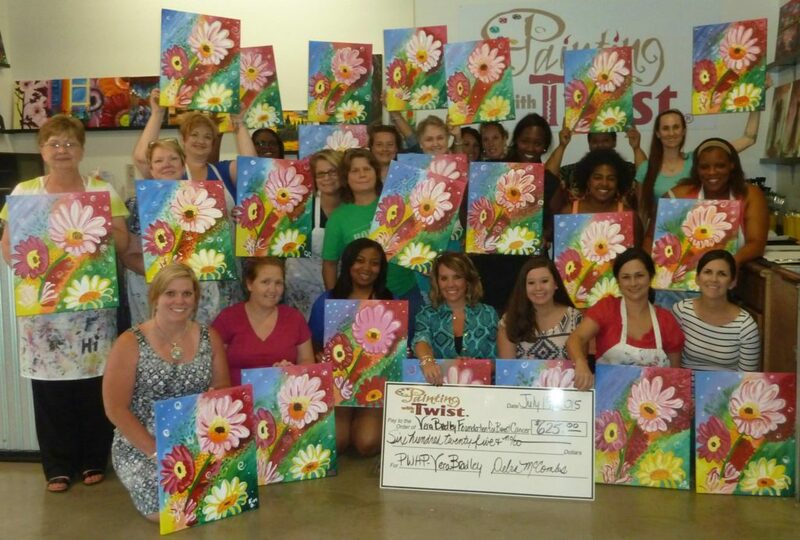 Enjoy some time together at a painting class while laughing and having fun. For friends or families, painting is a great bonding activity. Here are some suggestions on how you can to celebrate the new season with your favorite people. 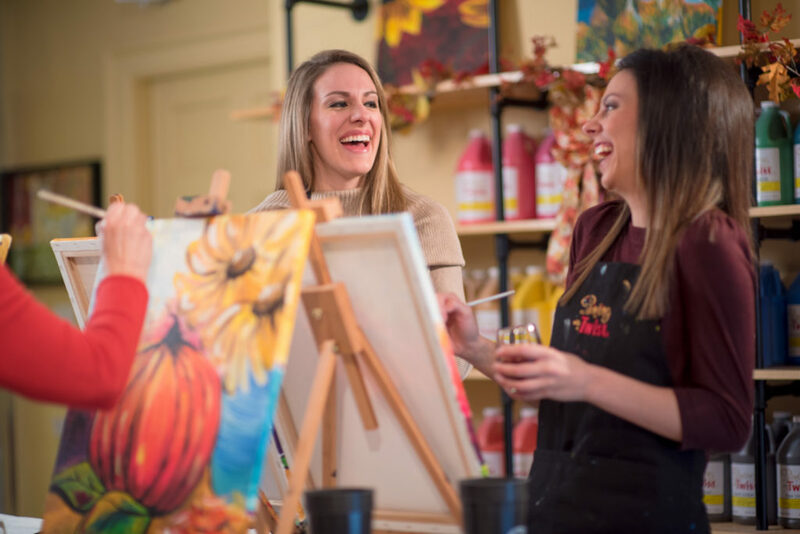 Grab your friends, enjoy your favorite beverage and each other’s company while you paint the colors of the season. Not only will you have fun but you will walk away with some great art to add fall flair to your décor and the best part is you painted it yourself. 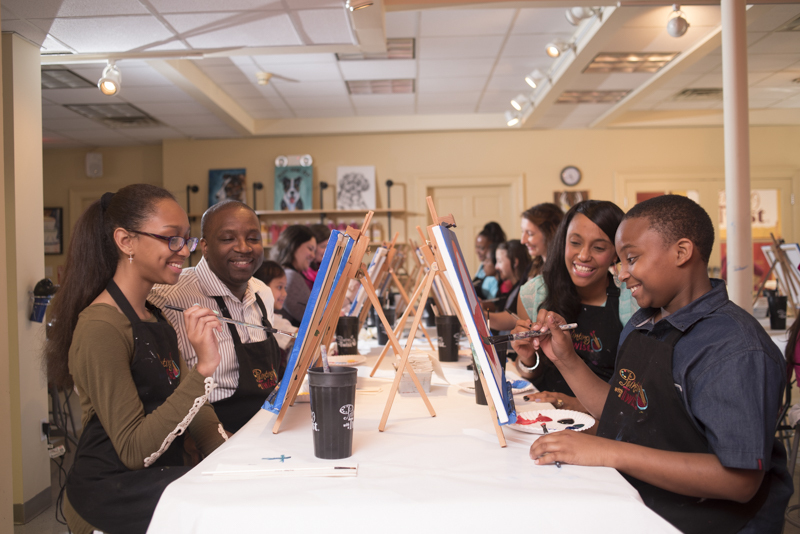 Gather the whole gang together and have fun at a family painting class. Our family classes are designed for all ages and skill levels. Painting is a great way to spend quality time together as you create memories to last a lifetime. During Breast Cancer Awareness month, join us for special Painting with a Purpose events, at select studios, benefitting the Vera Bradley Foundation for Breast Cancer. We’re painting with a purpose — to benefit a cause that affects many. Help change lives and sign up today. We provide you with everything you need. Relax with your favorite beverage, a canvas, and paintbrush as you enjoy time with friends and Family. Find a studio where you can have fun this fall.